One look at the Breach Portal on the U.S. Department of Health and Human Services Office for Civil Rights website shows an incredible quantity of health data breaches in 2018 alone. Data breaches in healthcare are disturbing for a variety of reasons, not only do they result in malicious individuals access to patients' social security numbers, but they also result in an utter violation of patients' rights to privacy. Surgery details, medical history, lab results: all of this HIPAA-protected PHI is at risk from data breaches. According to reports, the first nine months of 2017 showed that human error breaches accounted for 41% of healthcare breaches. Associated with unintended disclosure, these breaches are easy to avoid with proper staff training. There are free resources available to teach healthcare workers about HIPAA rights and how to protect their patients' PHI. With this training, employees might think twice before accidentally divulging private information to others. In addition to general HIPAA training, consider training staff and professionals on how to recognize phishing schemes. These vicious schemes often take advantage of humans' tendency to be trusting to gather private information about victims. Some of these phishing schemes are devious in their simplicity: even downloading a document from an untrusted source can infect your devices with malware. Aside from human error, how does PHI get violated in breaches? Healthcare hacking incidents involving malware or ransomware; patient data doubled from 2016 to 2017. To protect your patients from malicious hacking attacks, you should consider encrypting all of your patients' electronic health records (EHR). Encrypting data means that information is "disguised" from potential hackers. Consider a firewall solution. In a packet filtering firewall system, outside organizations should be unable to infiltrate your network's data. This is an essential feature in keeping EHR away from malicious entities. To access PHI, employees should have to enter authentication. These passwords should be unique and challenging to crack. Staff must be trained not to share passwords or allow colleagues to log in under their credentials. Along with this, practice good internal controls by training your employees not to leave devices unlocked when they step away. Consider making it mandatory for staff to update their passwords every few months. For truly sensitive data, you might even want to consider multi-factor authentication. For example, your employees will have a username and password as usual, but will also need a text message or email code to log in. According to studies, there has been a definite increase in data breaches from medical staff's mobile devices. In fact, from 2010 to 2017, more than 48% of breaches involved laptops, desktops, or mobile devices. With smartphones and tablets on the rise, it is a growing trend in healthcare to have nurses, staff, and even doctors use their devices on the go. While mobile devices are attractive due to their ease of use, simplicity, and connectivity, this can open your organization up to security breaches. Your staff should not be storing private medical information on their unsecured mobile devices. In a time when hackers are growing increasingly more aggressive and sophisticated in their techniques, it is important to fight back in equal measure. One of the best ways to do this is to have a Security Risk Assessment run on your systems. Professionals will look at everything from password security, to file accessibility, to more complex network security questions to give you peace of mind about your processes. They will provide you with advice on how to strengthen your security, prevent human error, and mitigate risk from cybercriminals. 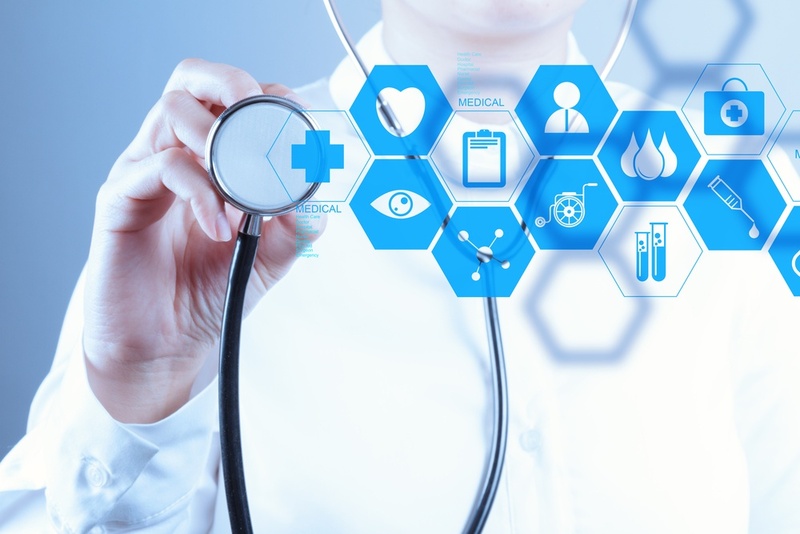 Assuring that your health data is safe and secure should be a priority for your business. Not only does it help foster trust from your patients, but it also protects you from lawsuits and HIPAA violations. To schedule a Security Risk Assessment with experts, contact us today.